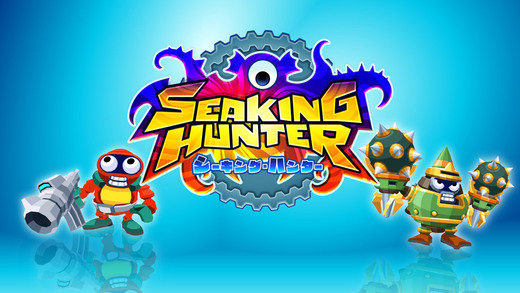 Simply put, Seaking Hunter is Mega Man and Monster Hunter added together to create a single title that isn’t far from brilliant! 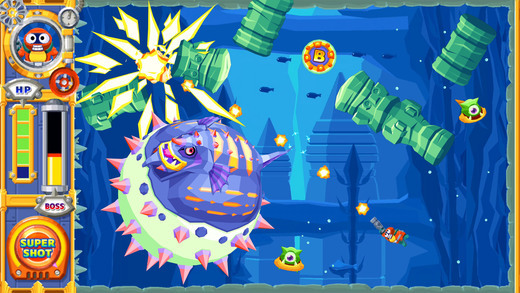 Set in the dark depths below the ocean’s surface, your mission in this game is to hunt sea monsters using a Mega Man-like character equipped with a diving suit and blaster. 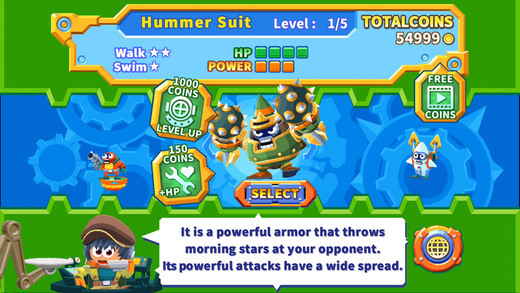 Unlike in Mega Man though, your player in Seaking Hunter is capable of swimming around the entire stage and standing on the walls and ceiling without falling down. This in itself is very helpful, especially when trying to find a safe place to stand, but in addition to the freedom of standing literally anywhere, the controls in this game are (once you get used to them) a big help when trying to quickly get around. 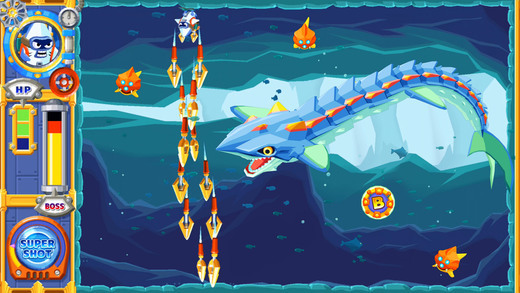 Played using a mixture of tilt and tap controls, you are given the ability to quickly move from side to side when standing on a flat surface, and to swim freely around the stage while shooting at whatever target you select. Slightly complicated at first, but surprisingly easy to get used to. Moving over to the graphics, the graphics in this game are superb! Featuring a set of high-quality console-grade graphics, (the type you might expect to see on a high-end portable gaming console), you’ll have a hard time finding anything to complain about with the looks of this game. 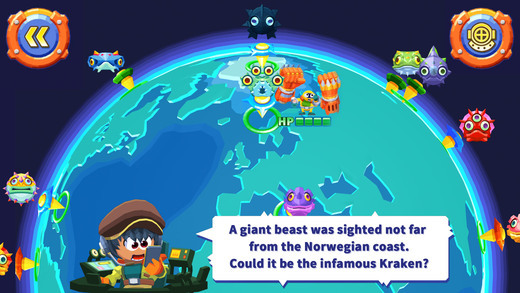 From a review’s perspective, Seaking Hunter may have been one of the hardest games for us to review this month. This is not because the game is bad, or boring, but because it is simply so new! We haven’t seen anything like it for mobile. If you’d like to play a game so new it stumps reviewers, this is the game for you.